On January 11, 2019 the last child left the Tornillo, Texas, immigrant tent city after months of activist pressure on politicians and the tent city contractors—Baptist Child and Family Services (BCFS). What began as a temporary shelter to hold 400 migrant teens with a 30-day contract between BCFS and the U.S. Department of Health and Human Services ballooned to holding 2,800 children by mid-December with many contract extensions. The camp was erected in June shortly after Trump’s “Zero Tolerance Policy” when the nation watched in horror as children were ripped from their families. Shrouded in secrecy in the middle of the Chihuahuan Desert about 40 miles east of El Paso, the tent city was perhaps the most controversial detention center, often referred to as an “internment camp” and a “concentration camp” by both activists and politicians. All but 300 children have been sent to their sponsors. The remaining 300 children are being transferred to other government-run facilities for undocumented minors while still in the sponsorship process. 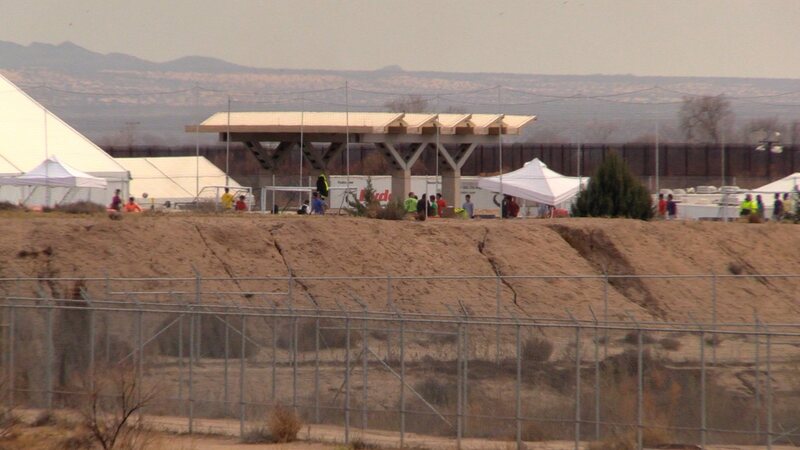 The last child left the Tornillo camp after months of activist pressure on politicians and tent city contractors.